“Hive is one of the most popular household names in smart home products. From smart lighting to pet cameras, Hive adapts to your lifestyle and makes daily living that little bit easier. One of Hive’s most well-known products is its smart heating system. By having a smart thermostat installed, you can control your heating and hot water from your smartphone, tablet or laptop. Wherever you are, you can control the temperature in your home with one tap of the Hive home app. “At Devonshire Homes, we like to embrace the new technology that emerges onto the market so that we can create beautiful new homes that suit modern day living. The Hive home app is an excellent addition to the space. Not only does it allow you to have complete control over the temperature of your property, it can also save you money on your energy bills. “Never again will home owners waste energy by forgetting to turn off the heating before they go to work as Hive gives you complete control of your home wherever you are. We are constantly looking for new ways in which we can enhance the design of our new homes and Hive is an excellent step forward. “You could even save money on your energy bills by moving into one of our homes with a pre-installed Hive system. British Gas claims you could save up to £130 a year on your energy bills by never having to heat an empty home. Perfect for families who would like to live a more sustainable and cost-effective lifestyle. 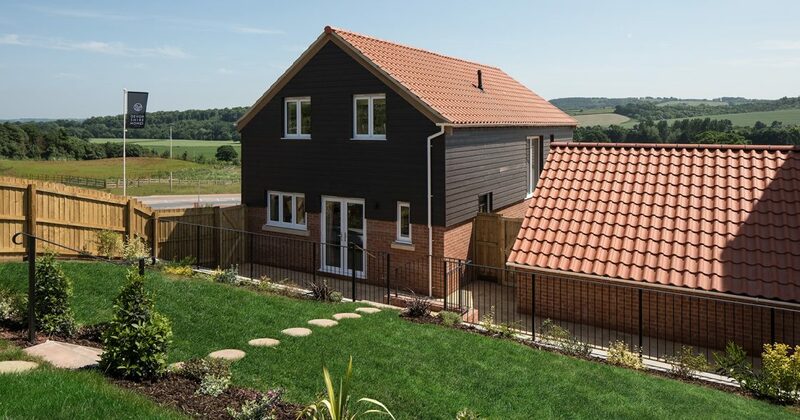 Devonshire Homes currently has a range of two, three, four and five bedroom homes available across the South West. Email mail@devonshirehomes.co.uk for more details or visit our ‘Current Developments’ page.